These passages from reputed historian, Jadunath Sarkar’s ‘Fall of Mughal Empire’ (Ch.3), were a revelation for me. While Mathura is my ancestral land, my pitrabhoomi, I had very little clue of its bloody history. I had heard such instances in generics but never in such gruesome detail. Perhaps, it was for a reason. What we know is that my ancestors likely put up with a lot of violence, a lot of persecution, just to conserve their Hindu identity, their faith, their multi-millennial traditions. All of which are endangered today. It got me thinking how ashamed our ancestors, who put up a heroic resistance against barbarians, would be of us today. 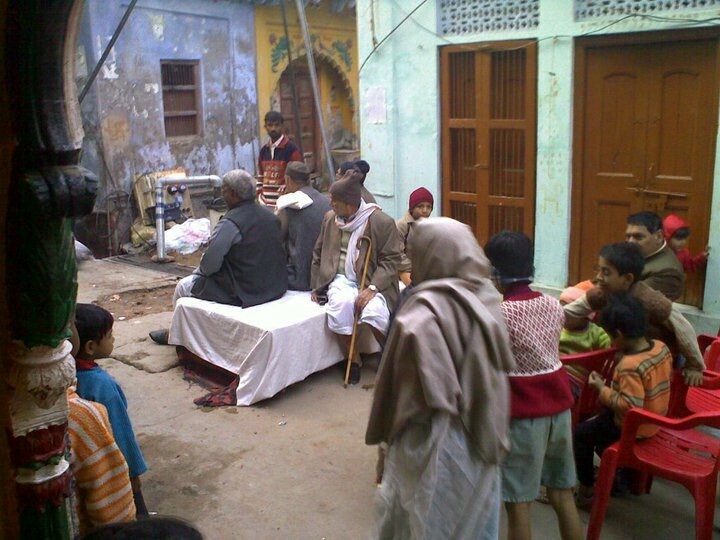 Consider this: a community of priestly Hindus has been residing on a ‘Teela’ (hill) in Mathura, UP for centuries. The Teela on one one side has had a historically densely populated ‘minority’ community. This community at the foot of the Teela hasn’t been “aggressive” due to united Hindu polarization siding with Congress or Jan Sangh in the past. The Bahubalis belonging to these parties maintained social fabric of the area around the Teela. However, recently this polarization broke with the entry of Mayawati and Mandal politics. This phenomenon really had its roots in VP Singh’s affirmative action in late 80s. Youth of this Hindu community began moving to cities in early 90s seeking private sector jobs, due to being crowded out in public sector by affirmative action and overall lack of development due to govt’s policies. Slowly, the Teela lost its youth to cities. Ones who remained did so largely due to their own lack of talent and/or resources. As a result, many became lethargic due to general joblessness, spiraling into vices that further ruined their job prospects i.e., gambling, bhaang, alcoholism, etc. 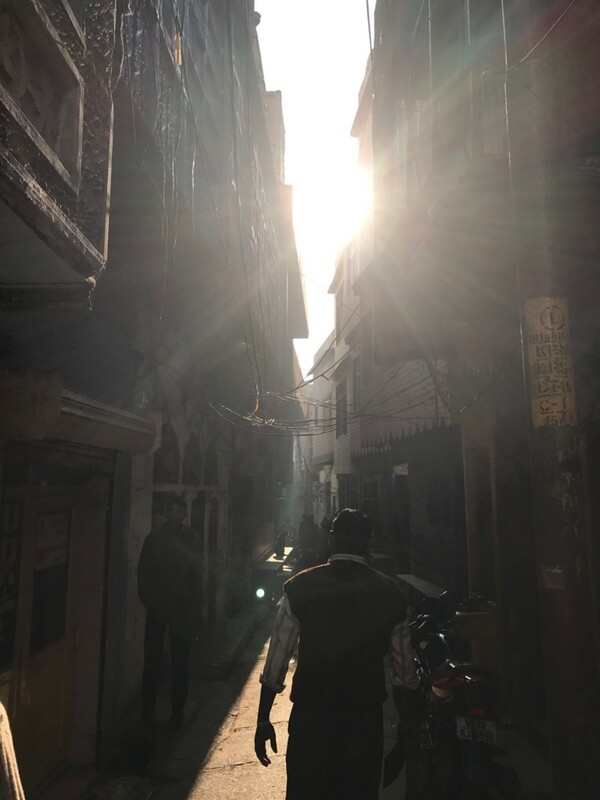 Overhead electric wires are major fire hazard, the alley ways are too narrow for fire safety trucks and equipment to arrive in case of any eventuality. Street going down to the foot of the Teela. All populated by older people in their last leg of life. 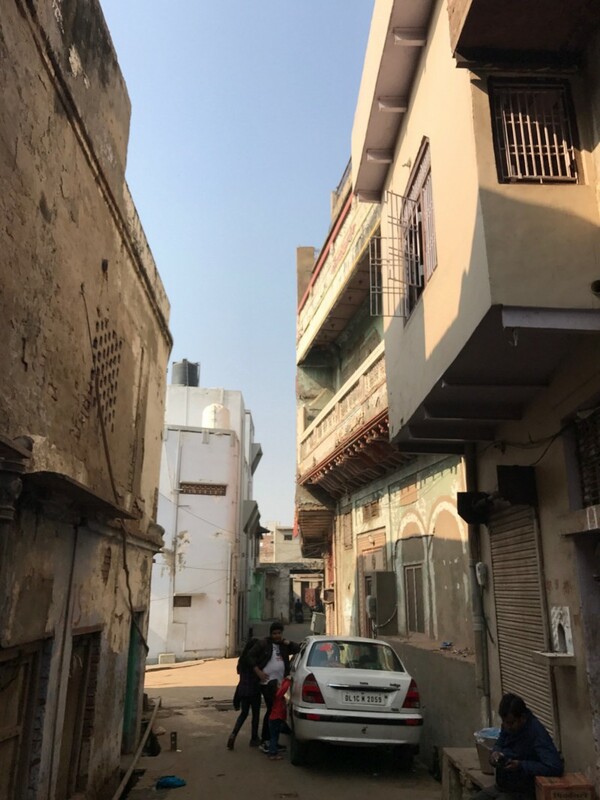 The foot of the Teela; the houses after the car belonged to the Hindu community, but were bought off by the minority community with the encroachment increased slowly. 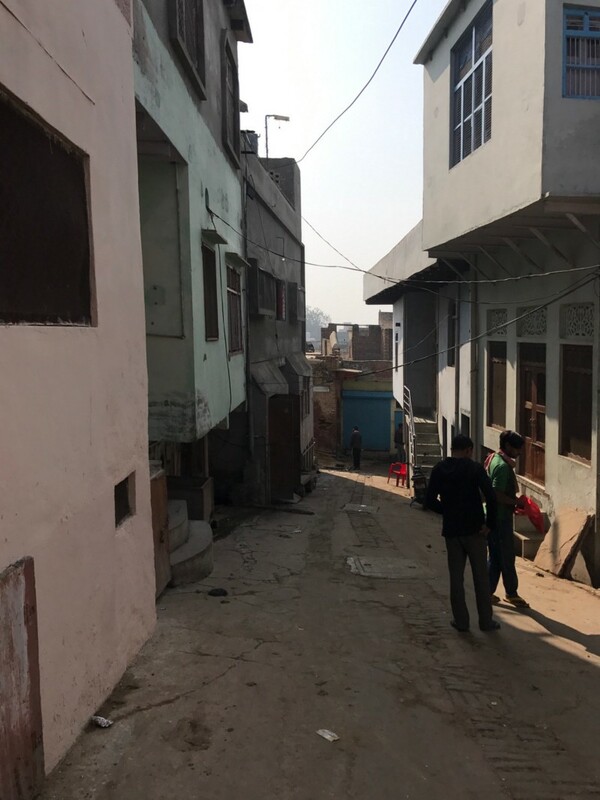 The Teela, once home to the priestly class of Mathura now a ruin, with decrepit buildings, inconsistent electricity, and largely poor people with limited resources at hand. An open invitation to be “demographically overrun” by another younger, denser community supported by the State’s minority appeasement policies and funds coming in from the Kingdom of the Saud. Could we have saw this coming? After all, Western Uttar Pradesh (where Mathura is located) has seen this story played before (see Kairana, Muzaffarnagar): shift in rural, semi-urban population in heavily dense districts. With youth in cities showing no interest in returning or conserving their ancestral lands, what happens after the older generation bids their goodbyes from this neighborhood? Is a demographic takeover by the minority community at the foot of the Teela a foregone conclusion? Forgetting how our ancestors from this ancient citadel had once fought barbarians from overrunning their punyabhoomi? Or should there be a sangathan that takes over the official restoration and maintenance of these houses, use them to relocate persecuted Hindus from other parts of BharatVarsha? At the least, should Hindus perform their own census and see if Hindus from other parts of Western Uttar Pradesh need relocation assistance? What Abdali and other barbarians couldn’t do with their swords over centuries, the Bharatiya State might achieve with secular “laws” within a few decades.